Last Wednesday, the IIIC organized a visit to the Islamic Cultural Center and Mosque in Roxbury. Upon arriving, we were greeted and welcomed by Barbara Sahli, a member of the Muslim American Society of Boston. The purpose of the visit was to improve group members’ understanding of Muslim culture, disprove stereotypes and examine prejudice. One of the group members admitted that he did not know what to expect when going to the Mosque. The group got to observe a prayer service and had the chance to learn about Muslim beliefs and rituals. The visit provided a forum for open conversation and discussion, and allowed the group members to ask any questions they wanted answered. Many good questions were asked, which led to an interesting and engaging conversation. Everybody learned a great deal about cultural differences and had the chance to talk about their respective countries, cultures, traditions and religions. 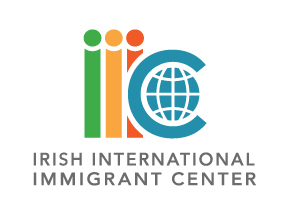 We would like to express our sincere thanks to Barbara Sahli and all of the staff at the Islamic Cultural Center and Mosque for the warm welcome, educational tour and successful trip!